Psst - don't forget to check out the Free Stuff for Kids & Babies section, crammed full with all the latest free things for your little one. 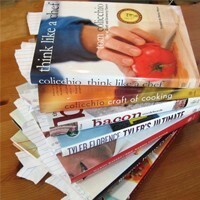 If the pages of your recipe books are covered in grease, sprinkle baby powder on them and leave for an hour. Wipe away the powder with a cloth to reveal cleaner pages. This is a great tip for when you want to donate old books to charity but need to give them a quick and easy spruce-up. Baby powder can also soak up any excess grease from playing cards (poker night + snacks = greasy playing cards), just pop them in a sandwich bag with some powder. 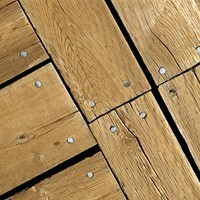 Seal, shake and wipe down for a clean deck. 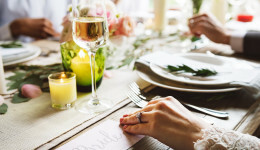 Ballet shoes and pretty pumps may be fashionable and comfortable but we don’t need to tell you that wearing shoes without socks is a recipe for smelly feet. Lightly sprinkle some baby powder in the insides of your shoes and rub into your feet, every morning. The powder will absorb any sweat during the day – keeping your feet fresh and your shoes tip-top. Most of us sweat whilst we sleep and, needless to say, more so during these balmy Summer nights. You may be inclined to wash your sheets more frequently but keep costs down by reaching for the baby powder instead. Keep your sheets fresher for longer by dusting some baby powder between your bed sheets before and after you go to bed. The powder will soak up any moisture and the comforting scent will also help you nod off. In between their monthly washes, keep your cat or dog’s fur clean and soft by sprinkling some baby powder onto their brush before their daily groom. It has a deodorising effect, de-greases and talc-free powder is safe to use on them. 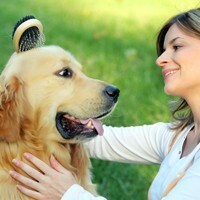 You can also refresh your own hair when time just won’t allow for a shampoo and blow-dry. If you spot any ants in your home, sprinkle baby powder into the area to keep them away – for free. 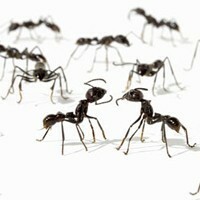 Ants, according to experts, aren’t keen on the texture or scent of baby powder so will stay away from it. It’s a great alternative to using harmful (and expensive!) ant repellents around children. If your little one or pet has an accident on your carpet or rug then baby powder can help remove any lingering smells. Wet the area, blot with kitchen roll then sprinkle baby powder on the area. Let it dry and hoover over. 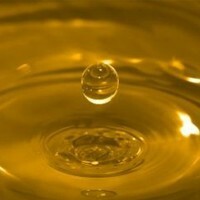 When cooking with hot oil it’s common to get annoying splash backs on your clothes. 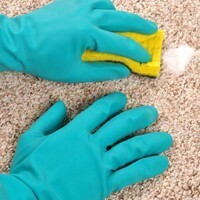 Lift any oil stains by sprinkling baby powder on both sides of the material. Lightly rub in and leave to soak in. Hand-wash and leave to air - the oil stain should have disappeared by the time it’s dry. Next time you’re on a family day out by the sea remember to pop your baby powder in your beach bag. There’s nothing worse than kids – and partners – moaning about their sandy feet and toes. So, for a quick and easy way to remove irritating grains, sprinkle baby powder on their sandy areas and get them to do a little shake. The sand will just drop off! After your deodorant dries, smooth on some talc-free baby powder to add an extra protective layer. Spraying layer upon layer of deodorant throughout the day can leave your skin feeling sticky and uncomfortable so continue to top-up with baby powder, instead. This will not only prevent your skin from feeling sticky but will leave your underarms feeling drier for longer. 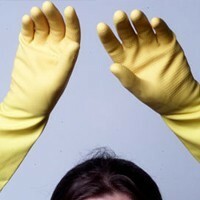 Dust some powder in to your rubber gloves, before you get stuck into the washing-up, and the baby powder will prevent them from sticking together. Also, give your hands a dusting too as not only will this make it easier to get them on but post-soak your hands will feel baby-soft. A quick dusting of baby powder is a temporary yet free quick-fix for silencing those annoying squeaks and creeks in old floorboards. The baby powder gets in the cracks and eliminates the friction causing the noise. Simply dust on and work into the cracks with an old paint brush. For a free repellent, green-fingered gardeners use baby powder to coat flower bulbs before planting. 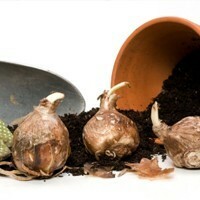 This helps to not only reduce the chance of rot but also deter bulb-munching garden pests. Simply take a sandwich bag and gently shake around 3-4 tablespoons of baby powder in with 5-6 bulbs. 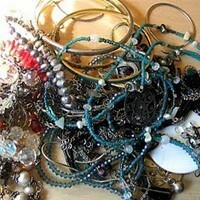 Don’t be tempted to throw away any tangled jewellery. Give them a quick sprinkle of baby powder and rub between your fingers and thumb to gently loosen any stubborn knots. This little trick also works well on any shoelace knots. 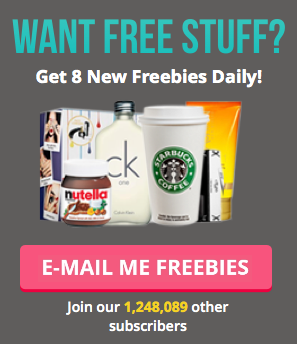 Free Beauty Samples Were Made For Holidays!